Yesterday's Haul: Work stuff and Silver Card! Pilot Frixion refills - 0.7 purple x2, green x2, light blue, pink, orange - I use these for work and while running out of one color doesn't drive me as crazy as some may think, it does bother me greatly, so I like having a set of refills on hand. I used to carry them around because I work in two different places, but I just can't be bothered anymore. Sakura clear pouch - cassette size - Bought to store above two items and other small bits and pieces in my work case that are floating around in bigger pockets. Kokuyo NOViTA postcard folder - 60 pockets, clear - I filled my last one to the brim and there are a bunch of homeless postcards waiting to be tucked into snug pockets. And that number above is correct; I filled 60 pockets front and back wi over 120 postcards. Admittedly many will not be sent out, like my AOYAGI TOSHIYUKI set and a bunch of souvenir ones, but most are for sending. It's part of my sel-prescribed hoarding therapy: learning to let go. I figure part of a postcard's purpose is to be sent, so I shouldn't keep it to myself. I need to spread the awesomeness of some of these artists to others. Besides, if I really want it to keep it, I'll buy two. 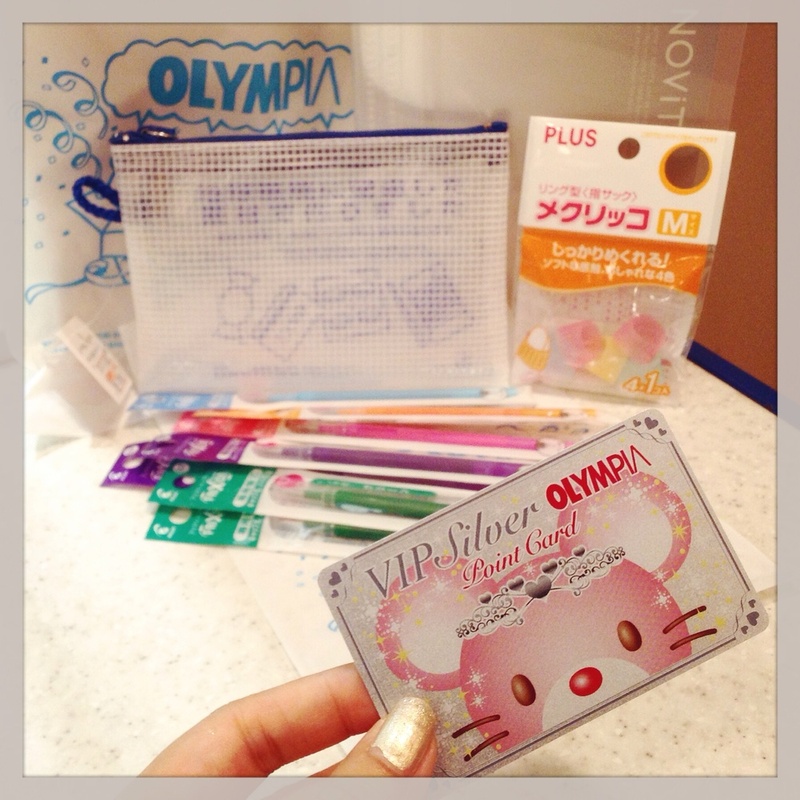 Also: OLYMPIA SILVER CARD- I've spent so much money at Olympia Plus, that I've been upgraded from the pink point card to the silver one. I am happy and horrified at the same time. But I cannot deny the feeling of accomplishment. I need to look up what special perks I get. The biggest concern is the need to control my desire to spend another small fortune as fast as I can to get to the gold card.